I'm not a morning person. It's so difficult for me to get up earlier than 6 am (unless we need to travel). 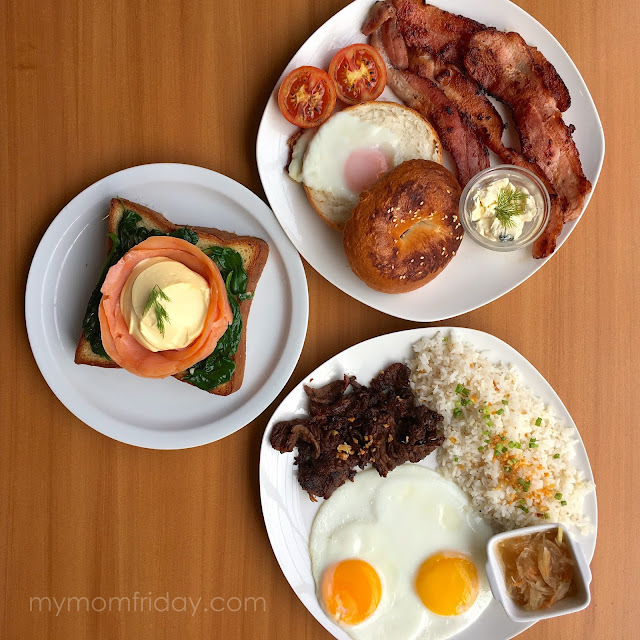 That is why I like brunch time better than an early breakfast, kasi hindi na ako antok and I can take my sweet time to savor my meal compared to a few rushed bites while I prepare breakfast and baon for the kids and bring them to school. 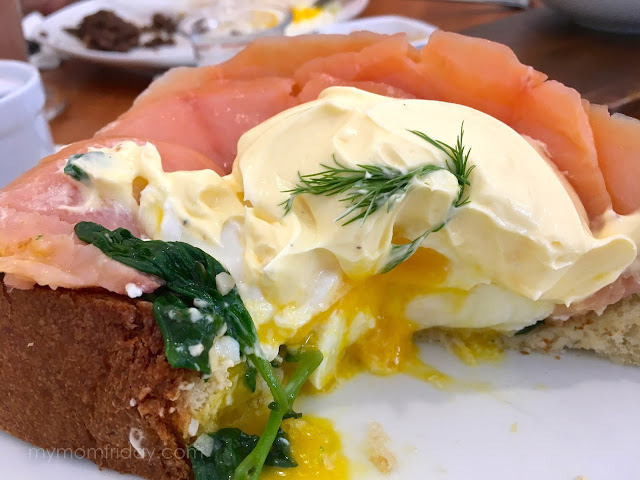 I enjoy this mid-morning meal when I'm alone or have a casual brunch date with friends. 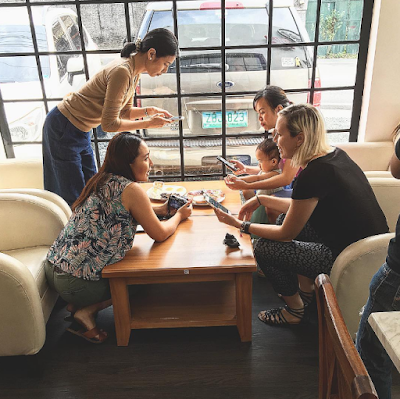 The most recent was with fellow titas hosted by Toast Manila in San Juan. 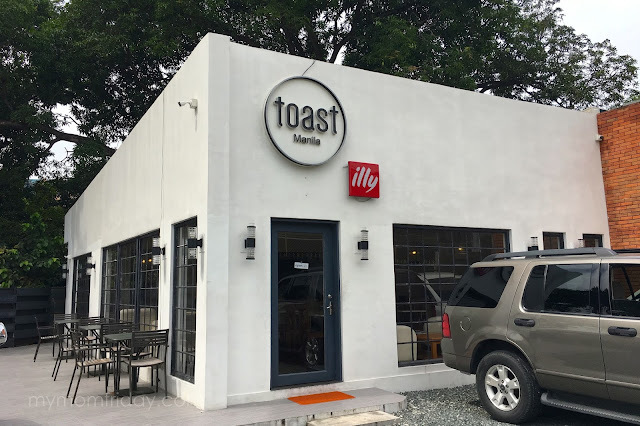 Toast Manila is a café and restaurant that offers all-day breakfast fares and specialty dishes inspired by flavors from the around the world. 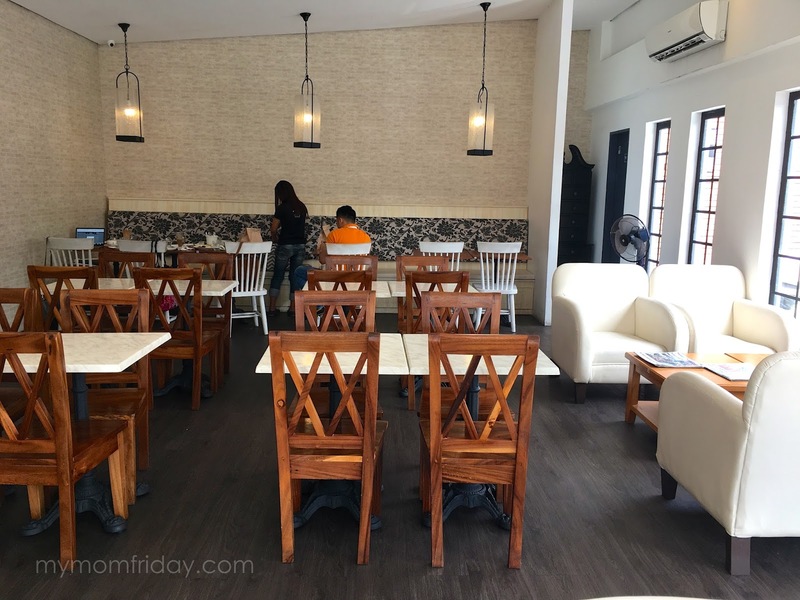 It has bright, homey interiors for a comfortable dining experience. There's also a private area for intimate gatherings. 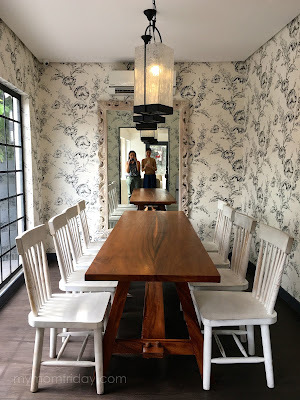 Pwede dito for small workshops or meetings. 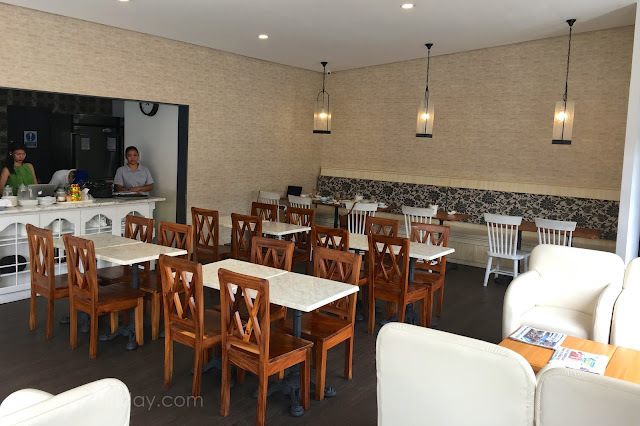 Toast can accommodate 40-50 guests and have ample parking space, so that's plus points for them too. We're all excited to go since it's the first visit for all of us. Siyempre, food shots first before we attack the food. Ahhh, such is the life of a blogger (even if we're not food bloggers). Endless picture-taking. Buti nalang maganda ang setting. Food plating was done beautifully kaya it was easy for us to snap away, complemented with natural light all around. Check out our flat lay -- but covered with the back of my head, hahahaha (thanks for this snapshot, Amber)! 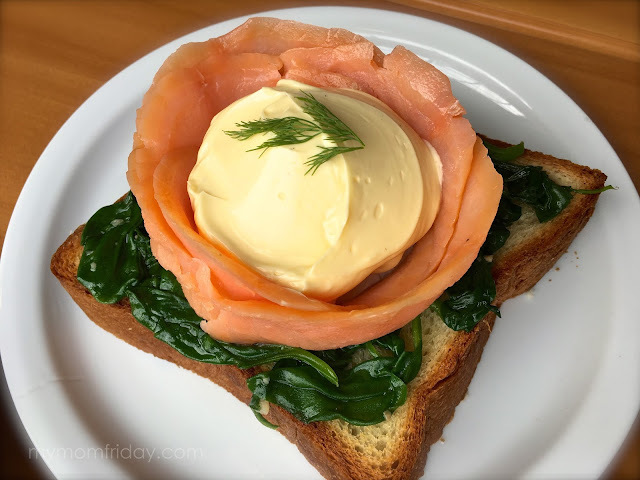 The NORWEGIAN is composed of perfectly cooked runny poached eggs wrapped in smoked salmon on a bed of spinach over toasted brioche. Not sure about the cream on top but tastes like very thick hollandaise sauce. I like smoked salmon and all the flavors on this plate went well together. This serving can be shared, but good for one if you're hungry! =) Look at that runny egg... mmmm! 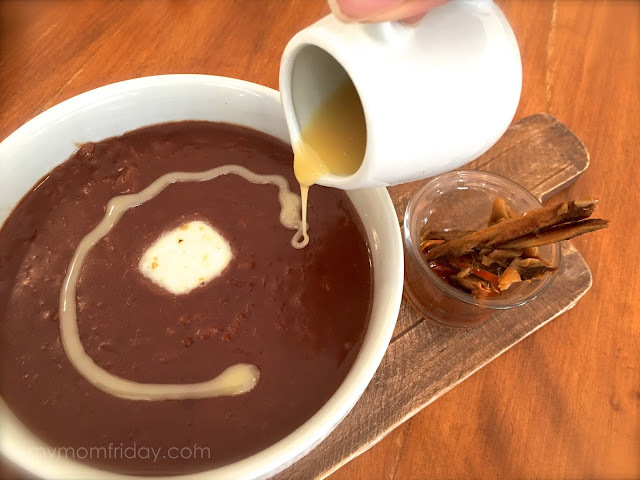 CHAMPORADO -- winner ito! Made with Malagos tablea kaya masarap, topped with a slice of kesong puti (I wanted it bigger sana), with gourmet tuyo and condensed milk to complete this sweet-salty warm bowl of goodness. This bowl can be shared. Even if I can make my own champorado, I will go back for this one. I'm salivating as I type this! 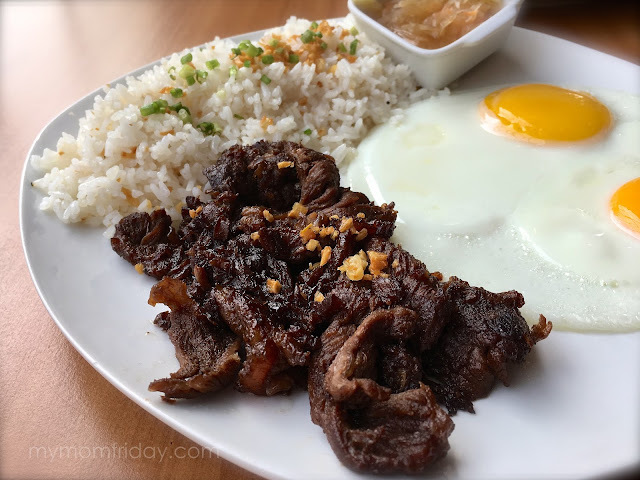 Classic BEEF TAPA is a safe order. Tender and tasty beef strips, with garlic rice, eggs and atchara. Busog for one person. 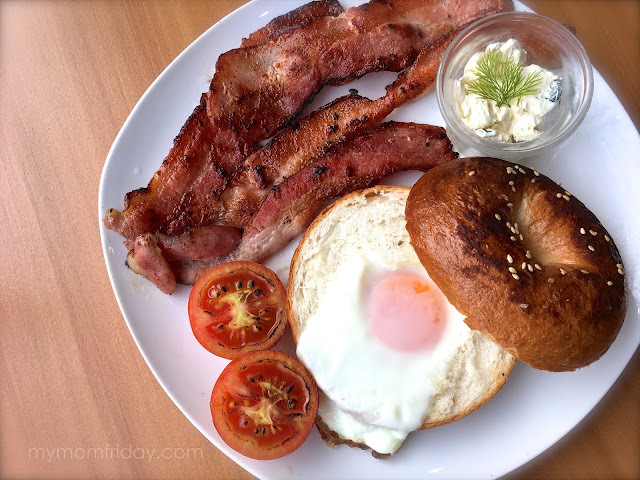 This AMERICAN breakfast plate has a sunny-side up egg on warm bagel, with herbed cream cheese spread and meaty bacon strips. The bagel we got was over toasted though. I had their Toast Hot Chocolate but I did not get the rich chocolate-y taste that I was expecting. Next time, I will try the S'mores Iced Chocolate naman. 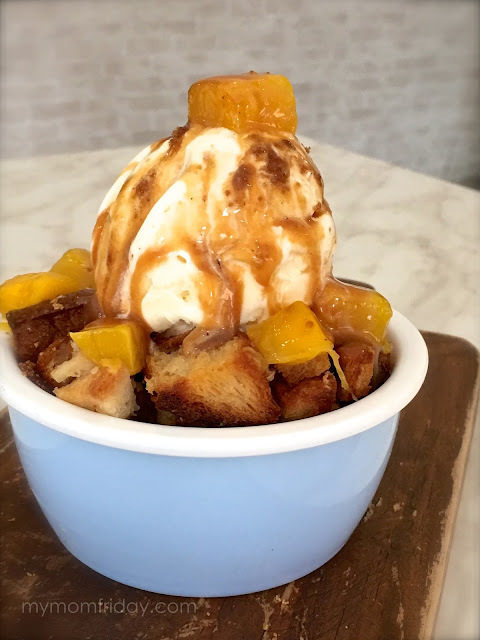 As a sweet ending, we shared this warm and delicious BAKED BREAD PUDDING a'la mode -- with mangoes, salted caramel sauce and cinnamon sugar. Yummeh! 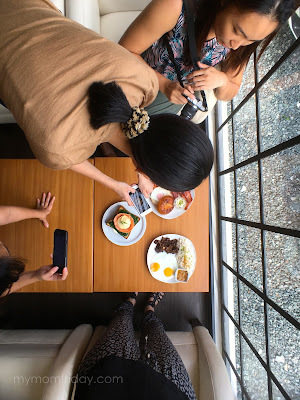 We all deserve a break from the day-to-day madness of mom life and I'm thankful that we had this leisurely brunch date at Toast Manila. Overall, the dishes we sampled were satisfying. Filling and delicious comfort food for every member of the family, with reasonable price points. I also ordered take out Mac & Cheese which was wiped out by my girl, so I guess it was good! 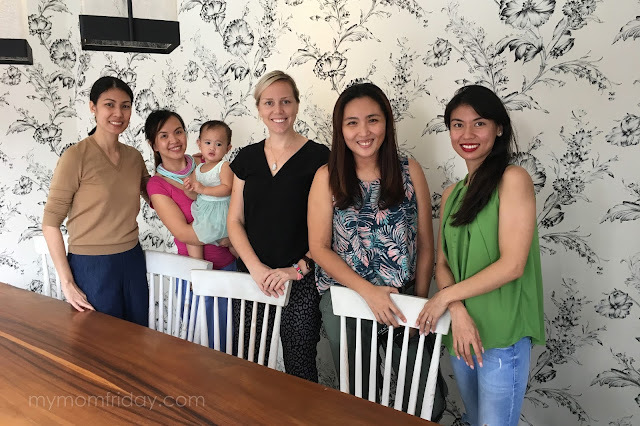 All smiles from these titas, who all left with happy tummies but bitin sa chika, heehee! Til the next brunch date! That's me with Chessy, Amber, Cai, and Riz of Toast Manila. 135 Hoover street corner Argonne street, Brgy. Addition Hills, San Juan, MM.